Casey Harris, left, was born with a rare condition called Senior-Loken syndrome, rendering him blind. 8 p.m. Wednesday, December 13. The Pageant, 6161 Delmar Boulevard. $30 to $35. 314-726-6161. Casey Harris believes good musicians should be able to get together in a pitch-black room and make good music, and that when rock musicians seem to be taking visual cues from each other on stage, they're actually doing it mostly for show. "You know, it's cool and dramatic when the singer and guitarist stand face to face; it's part of the performance," he says. "But I guarantee that 99 percent of the time they can coordinate the same way just by ear." Harris knows all about playing in the dark. The keyboardist and backup vocalist in the New York-based rock band X Ambassadors was born blind due to Senior-Loken syndrome, a rare condition that affects his vision and kidneys. While he can't see the huge festival crowds the band plays to now, he knows audiences are responding to the music when they make enough noise to overpower his ear monitors. And he usually feels like he doesn't miss anything — that is, until they get off stage and everybody starts talking about, say, some girl who was freaking out in the front row. "They're always like, 'Did you see that?'" he says, laughing. "My brother [singer Sam Harris] likes to rub it in." 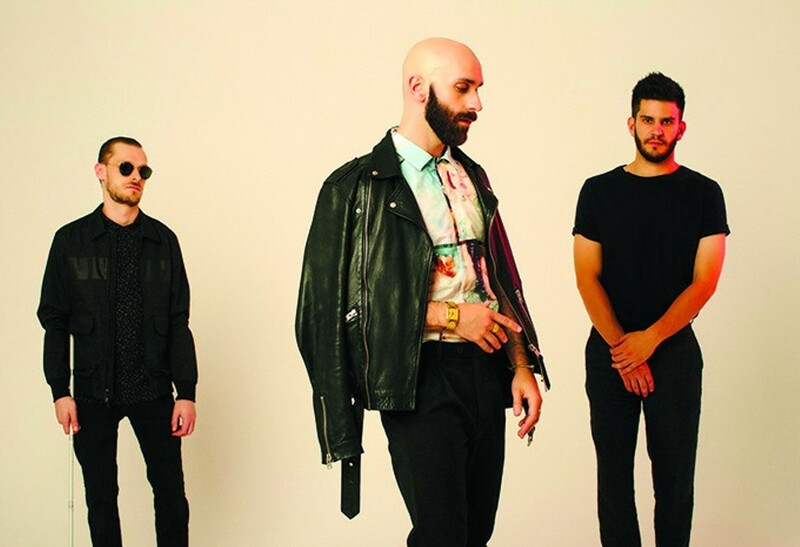 X Ambassadors occupies a pop-forward, radio-friendly space on the rock spectrum and is best known for its infectiously catchy hit "Renegades." 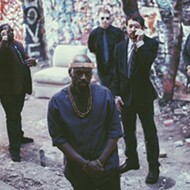 The group formed in 2009 and spent several years performing in New York bars and clubs but gaining little traction, often playing to practically no one. 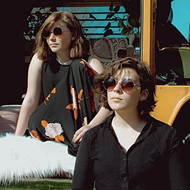 The band's big break came when an acoustic version of the equally catchy "Unconsolable" caught the attention of Imagine Dragons frontman Dan Reynolds, who urged record label Interscope to sign the band. Harris spoke to Riverfront Times from Los Angeles ahead of X Ambassadors' show at the Pageant on December 13. He explains that, prior to the band's success, he used his highly sensitive ear to make a living as a piano tuner. In fact, he completed a two-year program at a now-defunct school in Vancouver, Washington, which specifically trained blind and visually impaired people to tune, repair and build pianos. "At the end of the program, I could have pretty much built a grand piano," he says. "I don't think I still could — my skills are a little too rusty at this point — but they taught me every aspect of pianos." After graduating, Harris and his brother moved to New York to start the band in 2009. 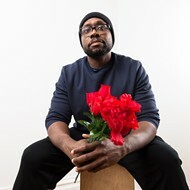 But Harris found the streetscapes hectic and difficult to navigate as a visually impaired person, which motivated him to work as a piano technician in a store rather than as an independent contractor making house calls. He held down that gig for about five years while the band got off the ground. "We were playing music pretty much the moment we moved to New York City," he recalls. "It was a situation where we'd all go to our day jobs and then on evenings and weekends we'd go to the rehearsal studio and write some songs or jam. Eventually, we had enough songs where we started playing out and around New York." Harris believes that most anyone can develop a fine ear with practice. "But sadly, from my perspective, a lot of piano tuners these days don't even do it by ear — they have one of those little machines with the needle and they wait for it to hit the right level," he says. "I mean, they work and sound alright, but in my mind a piano is meant to be listened to. Tuning it by ear makes more sense; you want to make sure the intervals sound good, not that they're perfectly digitally aligned." Sounding good is the whole point, Harris says. That's why X Ambassadors makes no bones about playing along with a metronome and pre-recorded tracks during its live shows. 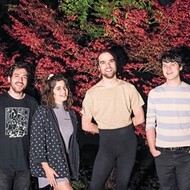 About two years ago, the band's members got tired of squabbling about the tempo and became unwilling to sacrifice the full sound on their 2015 album, VHS. 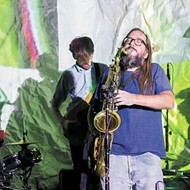 Each member tries to generate as much noise as possible — Harris often plays two keyboards simultaneously, for instance — but he estimates about twenty percent of the group's live sound is pre-recorded. According to Harris, that's typical on the festival circuit. "It's one of those things where most bands do it but won't admit it," he says. In terms of his own performance, Harris says his impairment doesn't hold him back whatsoever. He's extremely familiar with the tactile knobs on his synthesizers and the songs themselves, and it helps that the band's sets are planned out meticulously, with only a handful of unstructured and improvisational sections — and zero visual cues. "I know the songs front to back," he says. "We'll have some jams in between songs when we play live, and for those I just play along by ear."